Resetting the router - is the router broke? I am still waiting for BB to be reactivated after originally cancelling due to a pending house move (which never happened). Anyway, when Sky originally disconnected me I thought there was something wrong so phoned Sky CS. They told me to hold in the reset button and pull out the power cord, whilst still holding in the button, then to re-insert the power and release the resert button. This I did and there was lots of flashing orange lights. These flashing lights continued for approx 30 mins when I then pulled the power cord again. Now, even though I am still waiting to broadband to be activated, should I still be able to log on to admin page of the router? Because I can't, just get the unable to connect page in IE. Re: Resetting the router - is the router broke? Yes you should be still able to get to the menu page, sounds like you may have got it into the "flash firmware" mode, which could be bad news. You could attempt to restore it from the CD. Thanks for the quick reply. How do I restore it from the CD? Going into flash mode will have no damaging effect, and you will not need to re-flash it! If you go into flash mode, (power led and tick led flash alternatively) all you do is pull the mains plug to get out of it! Be warned though do not pull the plug once you have started to flash the router with a firmware file as this could damage your router!!! When you power on the router what leds are lit? Last edited by acoolwelshbloke; 13-07-07 at 04:01 PM. With just the router on and not the PC, just the power light is lit. With the PC on the "1" is lit as it is a wired connection to the PC. When I did the factory reset as decribed in my original post, I was told the lights would flash for a few minutes. When they were still flashing after 20 or so minutes I pulled the power. They do not flash, they only flash when you go into flash mode! A factory reset will have all leds lit at the same time, your router is fine as the correct leds are lit! However I suspect you need to reset the unit. Press the reset button and hold it in until all the leds on the front are lit then release the button! That is how you do a factory reset. With any luck you will be able to log in then! Will try when I get home from work and report back. Going from Sky BB back to dial up is like pulling teeth! 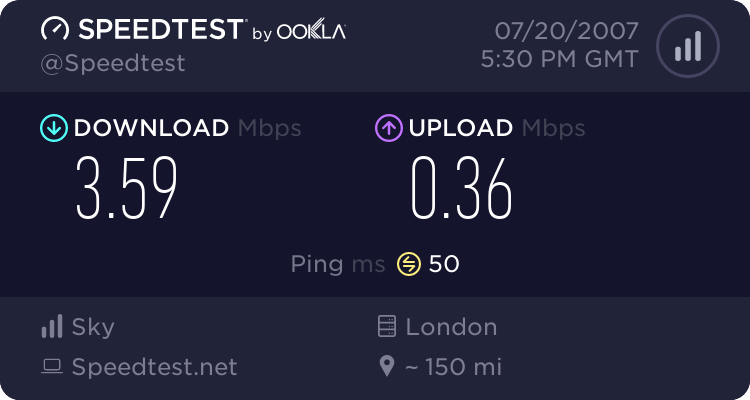 Made myself laugh last night as I thought the dial up connection was faster than normal, turns out it had connected at 45 kb/s, usually 28.8!!!!! No joy I'm afraid. I now have the wireless light on as well as the power and "1" light but cannot login to the admin page. Weird then... I guess a re-flash is all you can try now! Worth a shot but if that does not resolve it then it's ready for the bin! How do I do that then?